Dr Susan Lim performed the first successful cadaveric liver transplant for Singapore in 1990. The patient is alive and well, 25 years since the historic transplant. Dr Lim is widely known as the “Spirit of the Century”, an Award conferred upon her by the Singapore public in a national contest held by the Business Times, Singapore to identify the role model for the 21st century. Her surgical interests in the field of general surgery have included breast cancer, hepatobiliary & pancreatic surgery, advanced laparoscopic and Robotic surgery. Dr Susan Lim pioneered two surgical technologies for her country, the mammotome minimally invasive breast biopsy and robotic general surgery for the private sector. She founded the Centre for Robotic Surgery, spearheaded the da Vinci Robotic General Surgery Program for Singapore in October 2004, was Chairman of Parkway Hospital Group’s Centre for Robotic Surgery for Training & Research, and Robotic Medical Director (Asia) for Computer Motion briefly in 2003 until its merger with Intuitive Surgical that same year. Dr Lim received the Colombo Plan Scholarship to study Medicine and graduated with First Class Honours from Monash University, Melbourne in 1979. She was awarded the David Rosenthal Memorial Prize for the highest aggregate marks in preclinical years. Lim obtained her Fellowship of the Royal College of Surgeons Edinburgh in 1984, and was awarded the GB Ong Gold Medal for being the most outstanding candidate in General Surgery (shared) in that year. She was awarded the Fellowship of the Royal College of Physicians and Surgeons of Glasgow,and Master of Medicine from the National University of Singapore. Following her postgraduate surgery, Dr Lim pursued graduate studies in science, and was the recipient of the Churchill College Scholarship (Gulbenkian) for a postgraduate degree (PhD in transplantation immunology) at the University of Cambridge, England from 1985 to 1988. During her time in Cambridge, she received further scholarships, including an Ethicon Travelling Scholarship to Minneapolis, USA to observe islet cell transplantation and participate in the human pancreas transplant program. Dr Lim returned to Singapore in 1990 to assume the position of Senior Lecturer and Consultant in Surgery at the National University Hospital, and became Associate Professor in Surgery at the National University of Singapore the following year. In 1990, Dr Susan Lim made local medical history when she successfully performed the first Liver Transplant for Singapore. She was the Director of the Liver Transplant Program at the National University Hospital. Between 1990 and 1995, Dr. Lim was the Principal Investigator of a National Science and Technology Board funded research project on islet cell transplantation using tissue derived from human fetal pancreases. In 2003, she founded her own Biotech start-up, Stem Cell Technologies (i) to research into adult stem cells. The Company entered into a ten-year collaboration with the National University of Singapore to research into mesenchymal stem cells as a potential cure for diabetes. Dr Lim’s research interests in stem cells have also included a study of the role of the tumor microenvironment in breast cancer, and induced pluripotent stem (iPS) cells. In 2005, Dr Susan Lim was conferred the position of Fellow Trinity College, University of Melbourne, and is the youngest to be elected Fellow of the College. 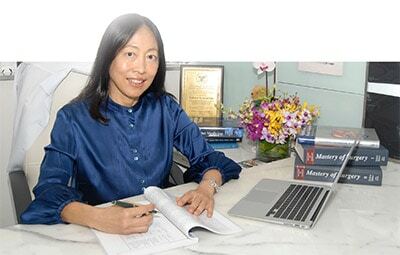 In 2006, Dr Susan Lim was awarded the Monash University Distinguished Alumnus Award. In that same year, she was appointed Visiting Professor to the Blizard Institute of Cell and Molecular Science, Barts and The London School of Medicine and Dentistry, England. Between 2007 and 2012, Dr Susan Lim was Honorary Professor at the Monash Immunology and Stem Cell Laboratories (MISCL), Faculty of Medicine, Monash University, Australia. Specifically, she was Group Leader for the Stem Cell Transplantation Program. In November 2007, Dr Susan Lim was conferred an Honorary Degree of Doctor of Medicine (honoris causa) by The University of Newcastle, Australia. She was recognized in the Australian House of Parliament (House of Representatives Official Hansard no. 17, 2005) for her clinical work in attending to, and saving the lives of Australian victims of the second Bali bomb blast. Also in November 2007, the Committee for Review & Recognition (CRR) named the American Academy of Continuing Medical Education (AACME) 28th award, the “DR SUSAN LIM AWARD” for the advancement in the Laparoscopic & Minimally Invasive Surgery. The award recognizes international surgeons who contribute to the body of knowledge in minimally invasive surgery including laparoscopic surgery, robotic-assisted surgery, interventional GI endoscopy and N.O.T.E.S (Natural Orifices Transluminal Endoscopic Surgery). Dr Lim is a member of the Global Advisory Council of the International Society for Stem Cell Research (ISSCR). Her talk on “Transplant cells, not organs” is listed under the “inspiring” category of TED Talks (www.TED.com). Dr Susan Lim is Visiting Scholar to the UC Berkeley, California, USA 2013 – 2015. In 2010, the Dr Susan Lim Medical Scholarship was established to assist well-deserving students pursue a medical education at Trinity College, University of Melbourne, Australia. 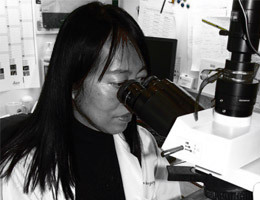 More recently, the Dr Susan Lim Endowment for Education and Research was established to encompass the various scholarships established over the years, including the Dr Susan Lim Medical Scholarship at the University of Newcastle in 2015, and the ISSCR Dr Susan Lim Outstanding Young Investigator award in 2016.